High quality fabric with cute print. Breathable pul inner, backed by soft & cosy micro-fleece. No dribble or leakage thanks to the pul inner - which is thin but highly absorbent - so no need for heavy thick toweling - nice & light so baby won't know it's there! Bibilicious bibs are also versatile & functional, having a two snap neck setting to take your wee one from newborn up to 1 year (on average). Due to the handmade nature of this item, the pattern placement may vary slightly from that shown in the photo. All Bibilicious Bibs come lovingly wrapped in tissue and ribbon, ready for gift giving. We can even ship directly to your gift recipient and include a personalized note & ribbon choice of blue, pink, or yellow. Just include those details in the notes section at check out. 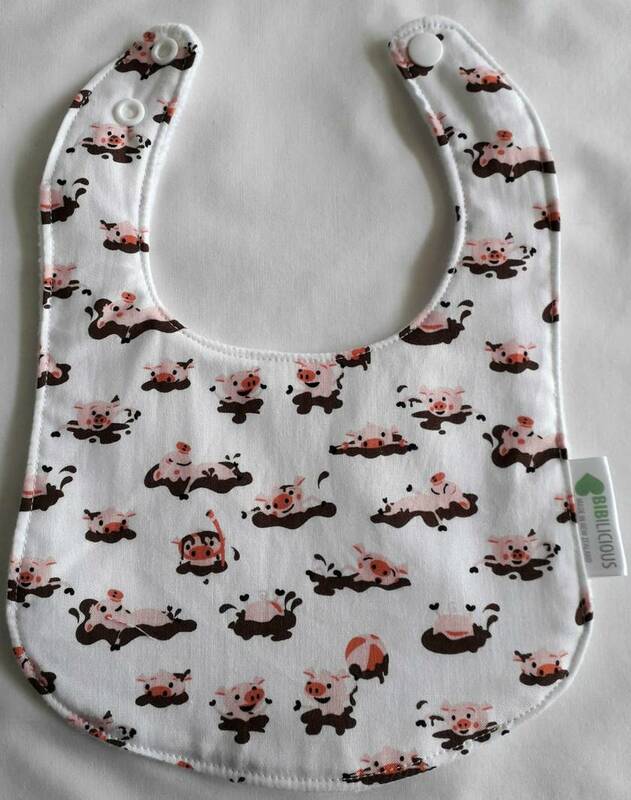 Contact bibiliciousbibs to enquire about payment or shipping options.